The red big ones that always were produced in Langa. A historical bottle drawn expressly and realised at Saint's Gobain Vetri with 85 % of recycled glass. The remake of the original historical labels. A unique collection of authentic wines that to each thousandth express the noses and the tastes of our “blessed land”. 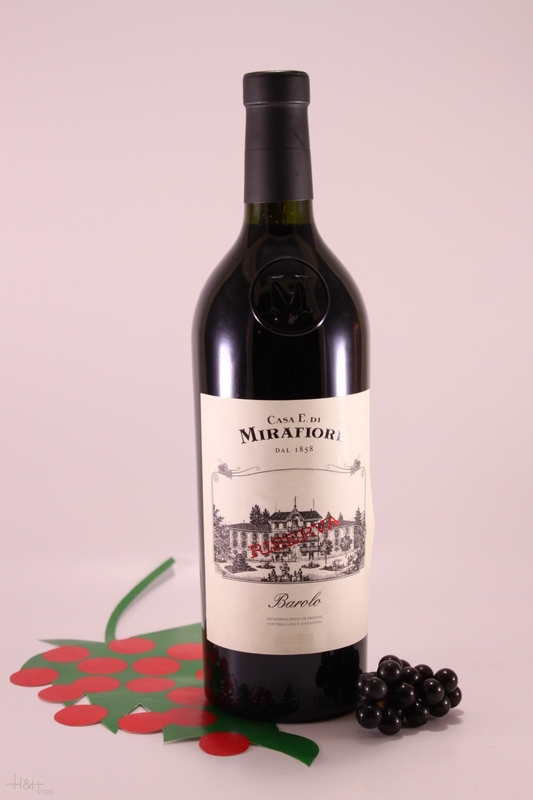 "Gilbert & Gaillard" has rated the wine "Mirafiore Barolo Riserva DOCG, Piedmont, Italy" from the vintage 2007 on 01.06.2016 with 93 of 100 points.
" Deep colour with bricking. Very compelling, open nose showing notes of ripe fig, chocolate and liquorice. Dense attack on the palate, very powerful and weighty. The finish stays very harmonious with focused aromatic expression. " "The Wine Front" has rated the wine "Mirafiore Barolo Riserva DOCG, Piedmont, Italy" from the vintage 2007 on 17.06.2017 with 94 of 100 points. "Wine Spectator" has rated the wine "Mirafiore Barolo Riserva DOCG, Piedmont, Italy" from the vintage 2007 on 30.04.2017 with 94 of 100 points. "Wine Spectator" has rated the wine "Mirafiore Barolo Riserva DOCG, Piedmont, Italy" from the vintage 2005 on 30.04.2013 with 91 of 100 points. "Falstaff Magazin" has rated the wine "Mirafiore Barolo Riserva DOCG, Piedmont, Italy" from the vintage 2005 on 22.11.2012 with 93 of 100 points. "Wine Spectator" has rated the wine "Mirafiore Barolo Riserva DOCG, Piedmont, Italy" from the vintage 2004 on 31.03.2011 with 91 of 100 points. 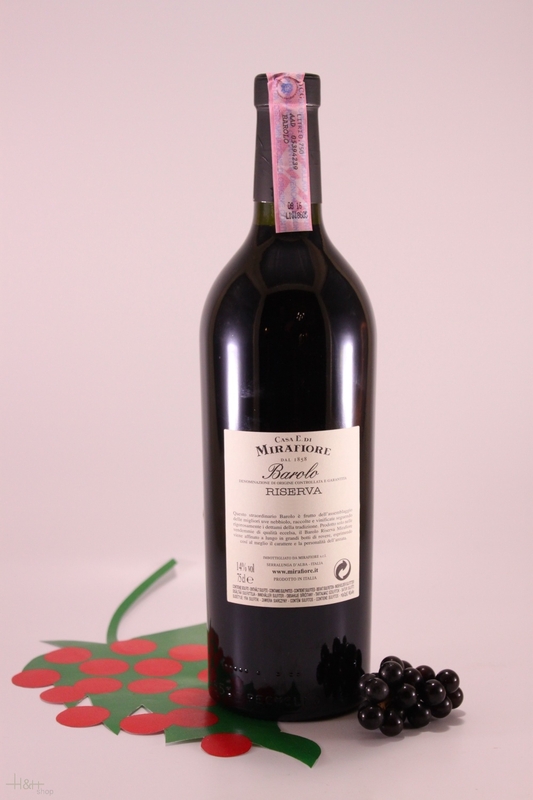 "Falstaff Magazin" has rated the wine "Mirafiore Barolo Riserva DOCG, Piedmont, Italy" from the vintage 2004 on 22.11.2010 with 92 of 100 points.